The Kingdom of Thailand wants every child in the country to receive an education, no matter where they come from. But a combination of poverty, fear, and lack of access, means many children are missing out. Twisted metal, mounds of rubble, heavy machinery and piles of concrete — it’s the last place you’d expect a child to be riding a bicycle. And definitely not where you’d want to be raising a newborn baby. On this building site in the northern Thai city of Chiang Mai, entire families live in sweltering dorms within pre-fab blocks — one dorm per family. 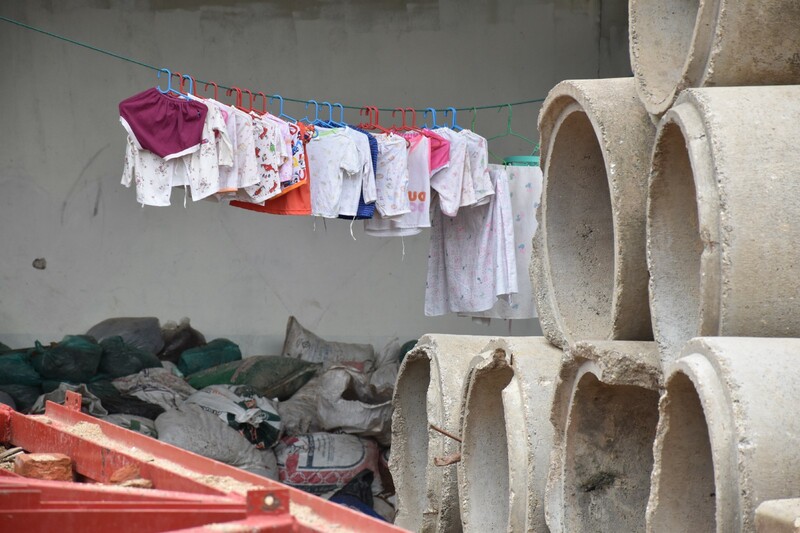 Washing dries wherever it can hang, toys lie in the dirt, and a small shrine has been set up in a quiet space among the rubble and ruin. While it’s not a pleasant place for children, it’s home to many of them, including little Chailai*. Just five months old, Chailai lives with her parents and sisters. Her mother, Dao*, has been here for ten years. She says the family will stay here as long as they must, so her older daughters can continue to attend school. Every day the girls travel around eight kilometres to school, sometimes by bus, sometimes by scooter. There, they are welcome. Thailand has attracted millions of migrants and refugees from surrounding countries — including Myanmar, Cambodia and Laos. Often, they are accompanied by family members, including children. 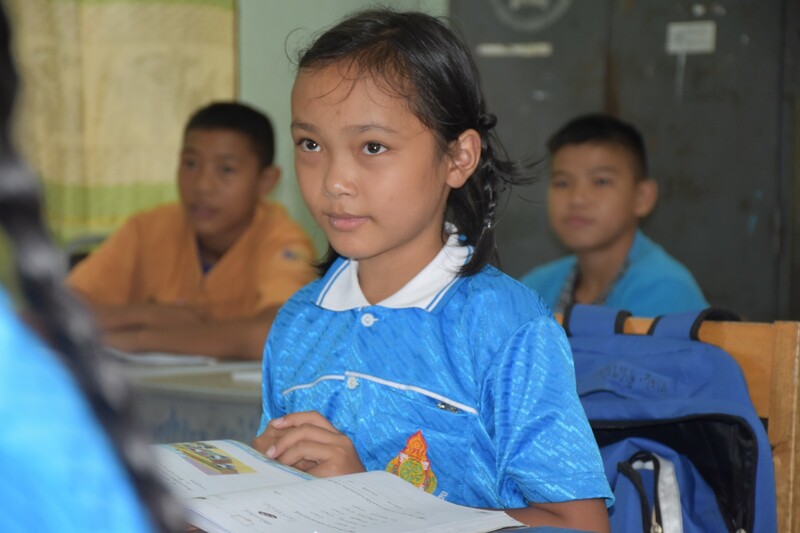 The Thai people treasure education, and are intent on every child receiving one. 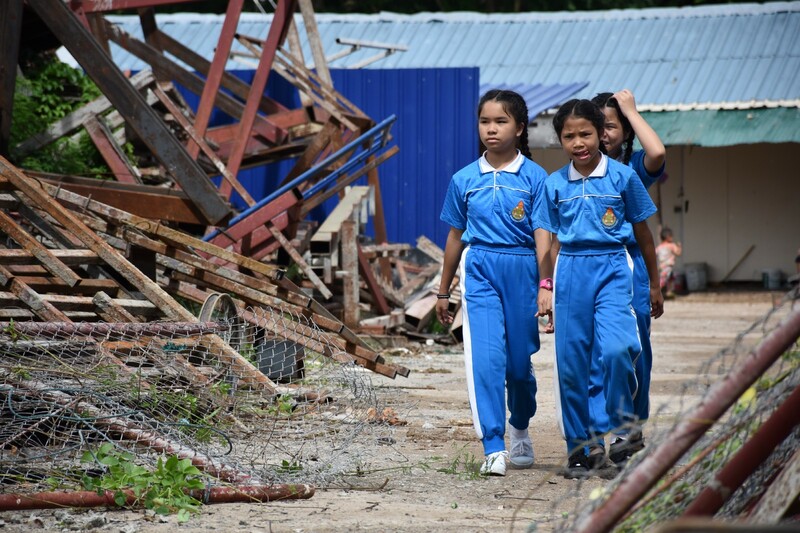 For millions of Thai and migrant children live in desperate poverty, education provides an opportunity to escape. After decades of near full employment, Thailand has attracted millions of migrants and refugees from surrounding countries — including Myanmar, Cambodia and Laos. Often, they are accompanied by family members, including children. In 2015, around 40% of migrant children weren’t in school. Many migrants, fearing deportation or extortion, choose to keep their children out of education. 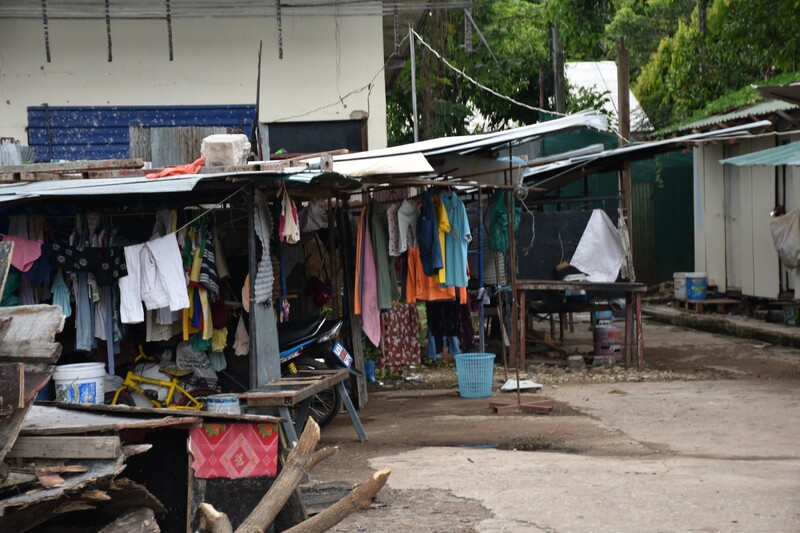 One of the corrugated iron shacks alongside the units where families sleep. But Thailand has drawn a line in the sand. Since 2007 the Thai Government has been committed to providing all children resident in Thailand, with an education. No child will be turned away. More than 126,000 migrant children are now in school, and the number is growing. Around 93% of 4–5 year olds and 75% of three-year-olds are receiving education, and UNICEF is working with providers throughout Thailand to ensure the quality of education. Children in Wat Pa Pao school studying geography. Built alongside a buddhist temple in Chiang Mai, Wat Pa Pao Learning Centre is one of dozens of UNICEF-supported schools and centres providing education for disadvantaged or migrant children. Around 220 ethnic Myanmar children learn the Thai language, along with other subjects such as geography and mathematics. Some of these children have never seen the country their parents and culture came from, so the school helps maintain vital cultural links, including traditional cooking, dancing, and religious practice. It’s a twist on the three Rs — reading, writing… remembering. Their teacher, Mrs Kouya, says despite any reservations the ethnic Myanmar community may have had about their children attending classes, the centre has since earned their trust, because they are taking care of the children well. Attendance is a challenge. Grinding poverty means some children work to support their families — seeking out whatever extra income they can. But the successes are coming — the number of children graduating has increased year on year. Of the 28 children who graduated in 2016, 26 are now working. The number of children graduating from Wat Pa Pao Learning Centre has increased year on year. Of the 28 children who graduated in 2016, 26 are now in work. “I am very proud to see them graduate so they can have a future, and so they can work,” says Mrs Kouya. We meet one small, distressed-looking boy under an enormous barbers cape, receiving a haircut from an older friend. 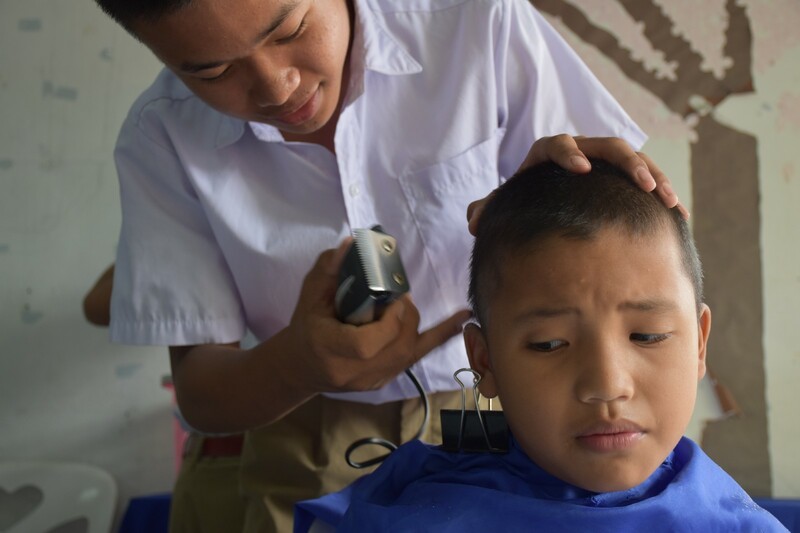 The centre provides pupils with vocational training, and apparently the last one was given by someone who required a lot more practice in hairdressing. With a grimace, he lets his friend continue. “It is an investment” says Dr Thammaporn Tantra, one of Chiang Mai’s early childhood development officials. But there are still roadblocks for parents. The cost of private schools has skyrocketed. Even just the cost of sending children to school can be too expensive for some parents. The children of Mae Jo ECD Centre lined up to welcome us into the school. 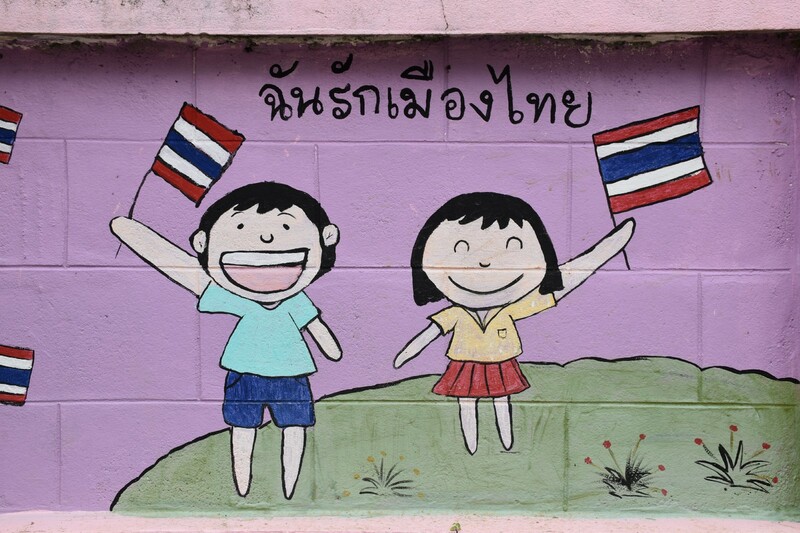 At the Mae Jo Early Childhood Development Centre, on the outskirts of Chiang Mai, the community has embraced Thailand’s development philosophy — the centre offers free schooling, transport, and lunches for every child. This UNICEF-supported pilot centre is open to every Thai child in the region. 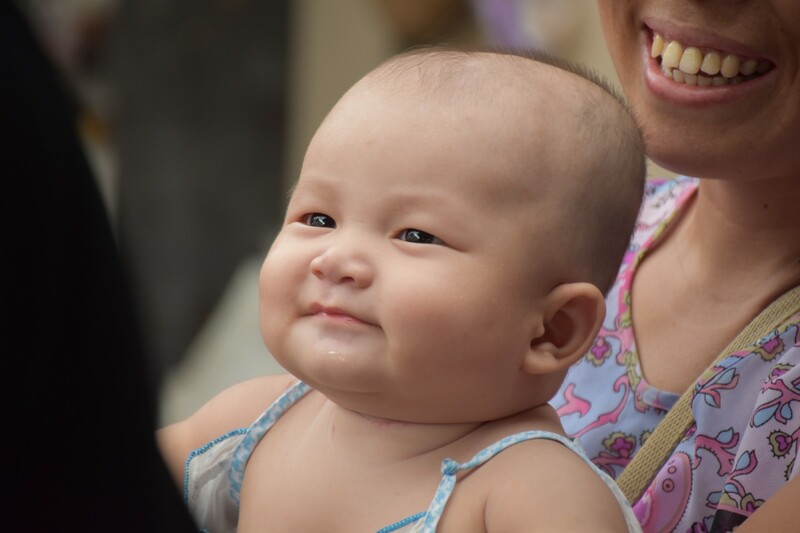 Since launching the pilot, UNICEF has provided professional support, teaching aids, and story-books to almost 2,500 teachers and caregivers at another 600 ECD centres throughout Thailand. The Mae Jo centre is very pretty. There’s a lush garden the children help tend — full of peas, banana, and morning glory, and a snail the size of a fist. There are colourful motifs on the walls, and incense burning in a small shrine. 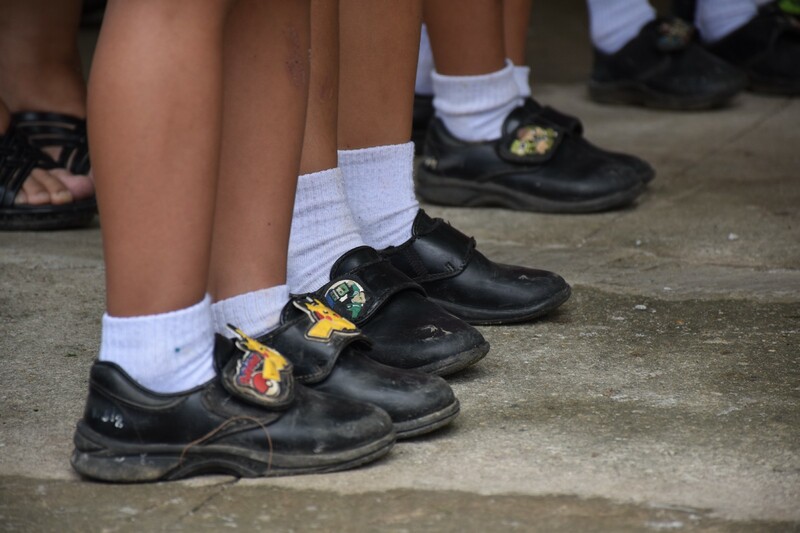 Every Thai has a nickname, and every child at Mae Jo has theirs written on the back of their shoes: Stamp; Cream; Sugarcane; Cartoon. 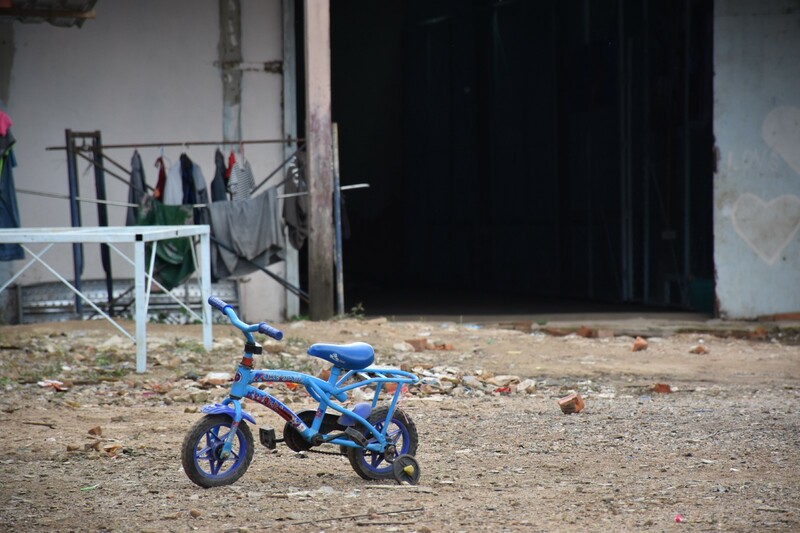 One of the mothers at Mae Jo, Nattaya Phusidiu, says she has noticed huge improvements in her four-year-old daughter, and she beams when talking about the changes in her girl. As part of their involvement in the school, parents helped paint the many murals on the walls of Mae Jo. 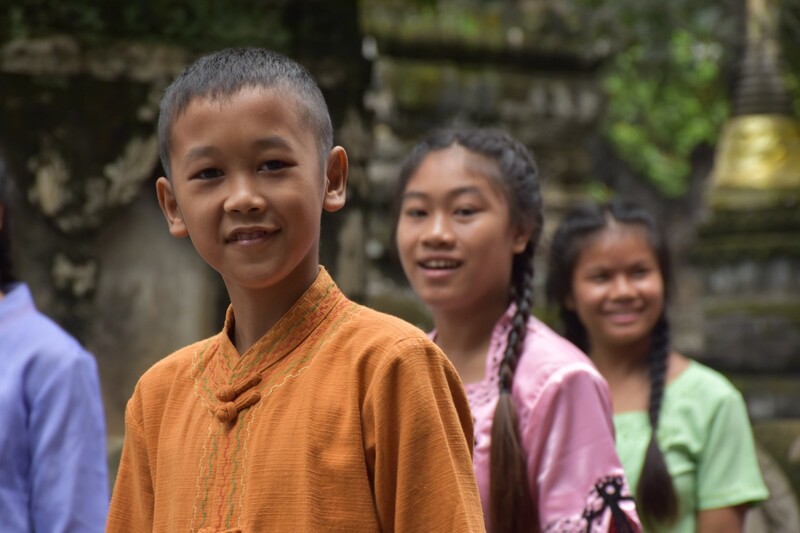 The system being trialled in Thailand is designed to respect every child’s right to development and education, to their own identity, and to celebrate their own indigenous heritage. In this diverse country they are fostering a sense of belonging in children, wherever they or their families may have come from. That is the reason that Dao has stayed in the building site with her daughters. It’s not the perfect upbringing she wants for her children, but she knows the education they are receiving will set them on the path to prosperity, and out of life among the rubble.